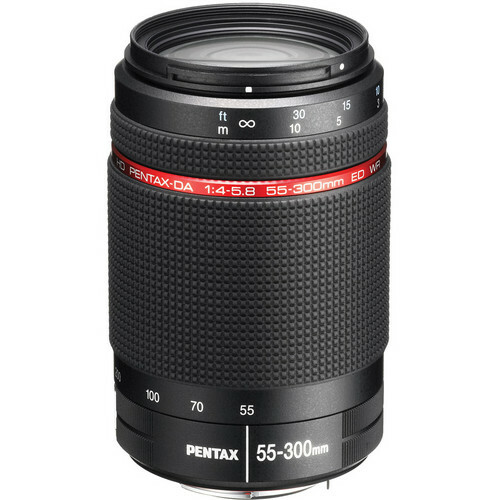 The HD Pentax-DA 55-300mm f/4-5.8 ED WR Lens from Pentax is a portrait-length to telephoto zoom lens that provides a 35mm-equivalent focal range of 84.5-460mm. This extensive zoom range is complemented by the inclusion of two extra-low dispersion glass elements, which work to minimize chromatic aberrations and enhance overall image sharpness and clarity. A high-grade multi-layer HD coating has been applied to lens elements to help minimize flare and ghosting for enhanced contrast and, additionally, an SP Protect coating has also been applied to the front lens element to effectively protect it from dirt, oil, and finger prints. The lens features a weather-resistant construction, which helps to prevent moisture and dust from entering the lens and affecting its performance and a highly durable metallic mount ensures a secure connection between the camera and lens. Pentax's Quick-Shift Focus System has also been incorporated into the design, which permits quick changing to manual focus control at any time, even in AF mode, for precise handling over the focal plane. Portrait-length to telephoto zoom lens provides a 35mm-equivalent focal length of 84.5-460mm, covering an expansive zoom range that is suitable for a wide variety of subjects. High-grade multi-layer HD coating minimizes lens flare and ghosting to enhance contrast and color neutrality. Quick-Shift Focus System enables expedited switching to manual focus control at all times for precise handling that is well-suited to selective focus imagery. Super Protect coating helps to protect the front lens element from dirt and finger marks. Weather-resistant construction protects the lens from dust and moisture for ensured use in inclement conditions. Box Dimensions (LxWxH) 6.6 x 5.4 x 2.9"
HD Pentax-DA 55-300mm f/4-5.8 ED WR Lens is rated 4.4 out of 5 by 72. Rated 4 out of 5 by DaveF from A joy to use with Pentax K3 This lens is surprisingly sharp even at open apertures and even at 300mm. While not very fast, it is a highly versatile addition to standard lenses, opening up so many options for compositions that just aren't available at shorter lengths. The build is solid and allows for a satisfying grasp of the camera. Color and contrast are really fine, and no significant vignetting. Only real gripe is the screw drive, yet even here, the savings in cost, weight and the speed of focus may well be justified. Manual pre-focus will reduce the amount of noise where that is a factor. It is a superb outdoor lens and for special applications with a little bit higher ISO, useful inside also. Rated 4 out of 5 by squidfan from Quality lens I should say I've only been using this lens for a couple of weeks, but so far it's been very responsive, produces clear, crisp shots, and has a pretty decent auto focus (though that auto function is, as others have said, somewhat slow and noisy). It's also, while heavy, lightweight for its size and not at all hard to use handheld for nature shots. At the risk of sounding stupid, I'll add that at first I didn't understand why sometimes the lens wouldn't retract/unzoom fully to its 55 (84.5mm) shape but seemed to still be partly extended; then I realized that with the focus ring near the front, the focus ring itself sometimes needs to be moved in order for the lens to become completely compact. Rated 4 out of 5 by Yacov from Expected more I'm using the lens for about 5 weeks now. So Ill update my review later if significant issues rise up.The lens performs less than I expected from reading other reviews. Auto Focus is loud and slow and I'm not sure yet how sharp it can get at 200 +++. Build quality is very good. Shots are clear, colors accurate, booked OK I thought of getting a 50-200mm 2.8f lens but really want that WR sealing. I feel like this would be better at shooting mostly static objects. Too much movement would require the Autofocus motor which is slow and may scare off nearby creatures. I'll likely add a faster, quite and mainly sharper zoom lens down the road to my kit. Rated 5 out of 5 by GuyB from Amazing on the Pentax K-3 This lens is simply amazing on the Pentax K-3, and a runaway bargain. I have just upgraded from the older non-HD DA 55-300mm and a Pentax K-5. What a difference! In most cases, the focus locks almost instantly, with very little hunting compared to my old combo, and dead on target. The color and contrast are even better too. I am shooting all the way from 55 to 300mm with remarkable results. Yes, compared to my primes, the borders and edges are a little less sharp, but used right, this lens can produce great results on the K-3. Lightweight but solidly built, easy to focus on manual or auto, very sharp at f/8, with great color and contrast too. Strongly recommended as a walk-around lens you can easily hand hold for shots of just about everything. Rated 4 out of 5 by Anonymous from As expected The lens performs as I expected from reading other reviews. Auto Focus is loud and slow but it's accurate in my testing, which is OK since I prefer manual focus. Build quality is very good. Shots are clear, colors accurate, bokeh OK, lighting is a tad dark at 5.6f but I need to adjust for that since it's my first long lens. I thought of getting a 50-200mm 2.8f lens but really want that WR sealing. I feel like this would be better at shooting mostly static objects. Too much movement would require the Autofocus motor which is slow and may scare off nearby creatures. I'll likely add a faster, quiter zoom lens down the road to my kit. Rated 5 out of 5 by jlove from This lens rocks. 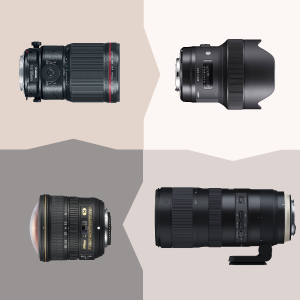 The lens build quality is perfect, rugged, sealed, and easy to interchange. The lens will seek when in auto-focus from across the focal range at times but that may be my fault. A nice hood came with the lens which is a plus. It allows for 300mm reach which I couldn't get before and I am finding sharp details that are fun to capture at maximum zoom. The weather resistance is just awesome too. I have tested this lens both night and day for long exposure shots of cities and airplanes kicking dust in bright sunlight. Affordability is the best part about this lens. Rated 4 out of 5 by Old Marine from Nice lens I bought a Pentax K-3 and associated lenes simply because I don't like taking my Nikons out on a rainy day. This lens has already performed well in heavy rain. It has good optical quality and offers a great value for the money. If I had to say anything negative about it, it's that it's noisy (compared to my Nikkor lenses) and seems to take a full trip out and back in to autofocus. If you're shooting wildlife or sports, you might find it quicker to turn off autofocus and set manually. Rated 5 out of 5 by Harm from Weather-resistant with that extra reach I've been waiting for this lens in WR and I'm glad I did. It's got a good solid feel to it, is durable with tight tubes, and has excellent focus throughout the focal range. Focusing is quick and sharp, but is definitely audible. It's no where near as loud as the DA 50mm f/1.8 though. This lens does have some weight, but not to the extent that you're unable to hand hold at 300mm. Actually feels more like it helps balance the K-3 nicely. I am going to Indonesia. How will this lens perform compared to my Sigma 18-200mm F3,5-6,3 DC lens, bought in 2008, on my K20D? The Pentax 55-300 will provide a longer zoom range than the Sigma 18-200mm lens. As well, it will have a slightly slower aperture speed. I would advise using both lenses in order to have the option for wide angle images as well as telephoto. Is this the PLM version I've seen advertised? And by the way, what does PLM stand for, anyway? Is this an apochromatic lens? can this lens be used with a teleconverter? What should I look for? 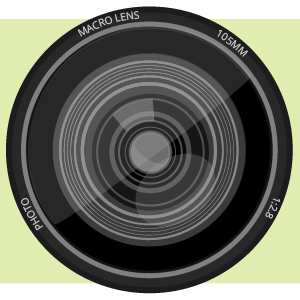 It is not advised to use a teleconverter with lenses that have a focal length of less than 70mm. I am looking for a lens for my Pentax K-30 that will take great pictures of my kids on the soccer field. I have the 18-55 lens now and it just doesn't zoom in nearly enough. Would you recommend the Pentax HD Pentax-DA 55-300mm f/4-5.8 ED WR Lens? This lens is nice if weather sealing is important, however the sigma 70-300 macro has much quicker autofocus and when boy are stopped down to f8 the image quality is very similar with the slight edge to the sigma. 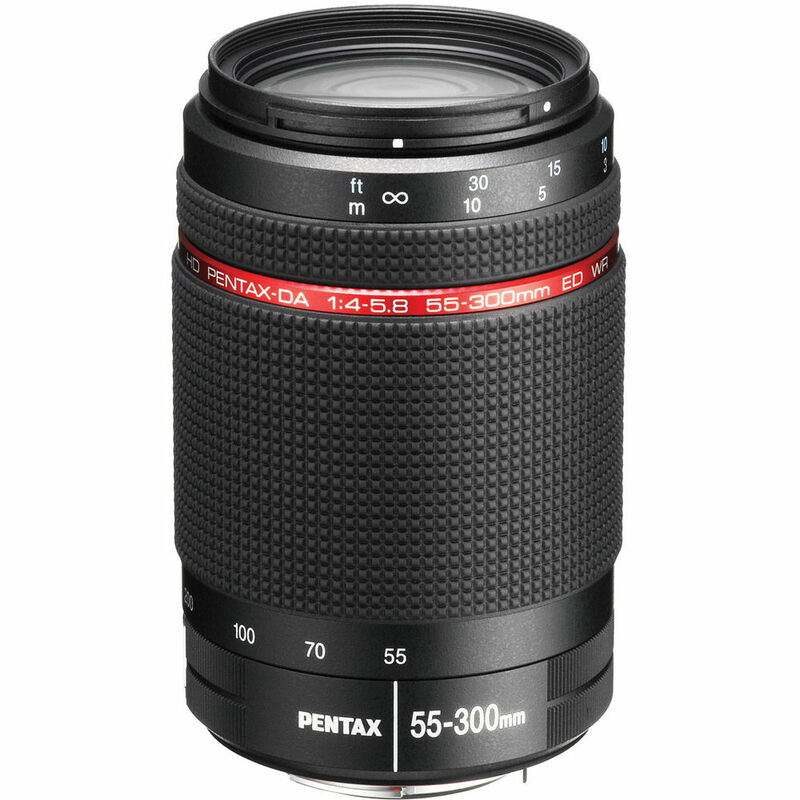 Is the Pentax 55-300mm F/4.0-5.8 lens compatible with the Pentax K-x? I have a Pentax 55-300 lens that came as part of the kit with my K-r. It is a pretty good lens, but not water resistant. Other than the WR feature, is this lens a step up from the kit lens, or is it basically the same? I do not have the non-WR version of the lens, but my understanding is that as than the WR seals they have the same optics. Another difference could be if you have the pre-HD version. The earliest version of the lens did not have the HD lens coatings. Again not a major difference and probably not worth the upgrade unless you need the WR feature for taking a lot of photos in a moist setting. What optical magnification can the lens produce ? The Pentax 55-300mm lens has a magnification of 0.28X.